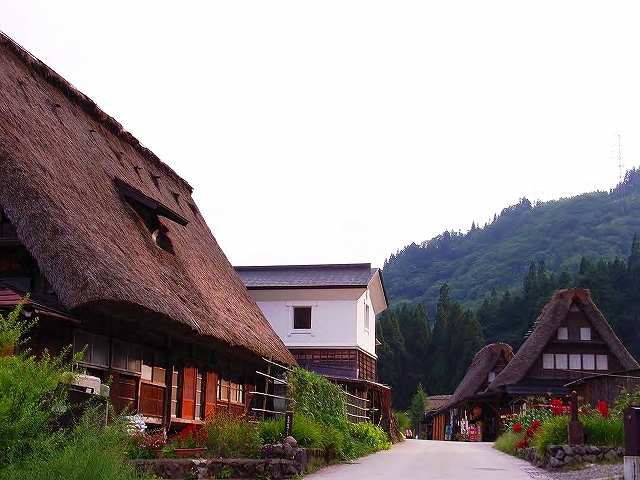 Ainokura (Gokayama), Nanto City, mountain village. 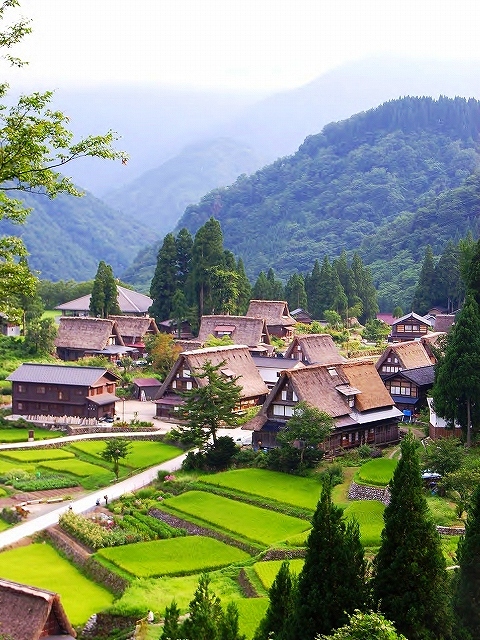 Examples of the hiding villages of the Heike no Ochiudo include Gokayama in Toyama Prefecture. In the Edo period, Gokayama had? been a place of banishment of the Kaga clan. The place is also known for one of the heaviest snowfall in the world. The koyagumi (roof truss or framework) of the Gassho-zukuri in Gokayama has become famous, but this structure was previously widely used in Japanese private houses. 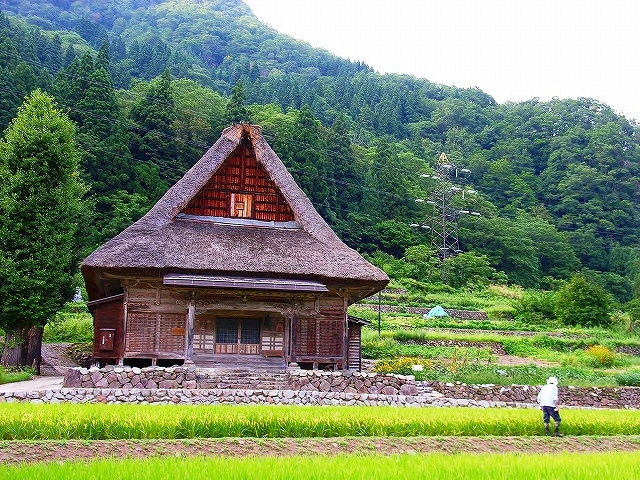 The group of buildings in the villages of Shirakawago and Gokayama are registered as a World Heritage site (Cultural Heritage) by the United Nations Educational, Scientific and Cultural Organization (UNESCO).